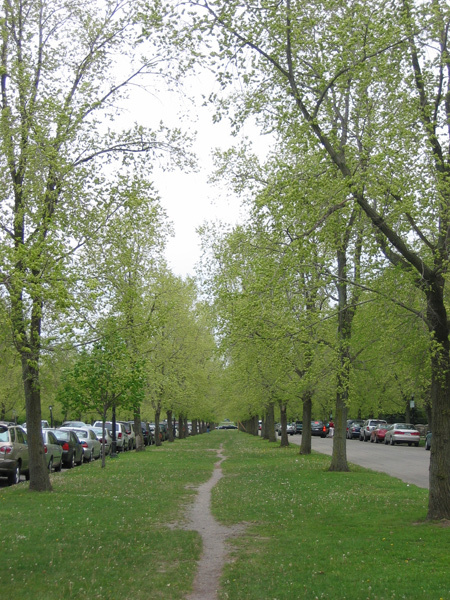 Designed between 1868 and 1915, this network of interconnected parks and parkways was among the first of its kind in the United States and is exceptional for its comprehensive scope, inspiring numerous other systems. 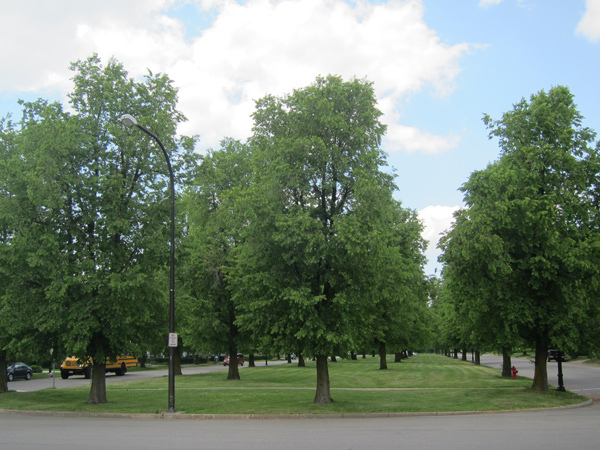 Though initially asked to select one site for a large park in Buffalo, Frederick Law Olmsted, Sr., proposed the acquisition of a large, undeveloped parcel outside the city to be connected to other smaller parks by a system of parkways. 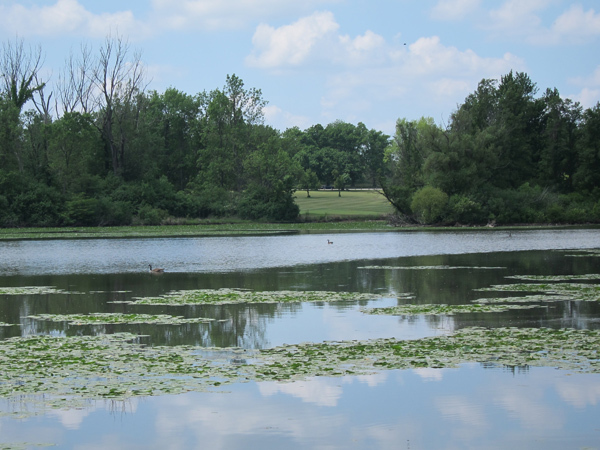 Working with Calvert Vaux to create recreational space as an alternative to Buffalo’s urban conditions, Olmsted developed the 350-acre “Park” from existing agricultural land. 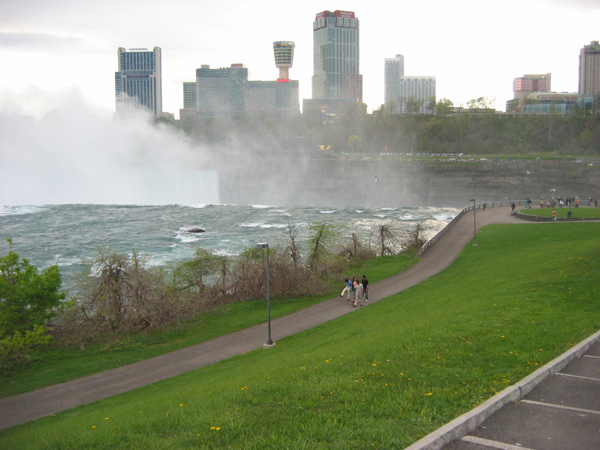 Closer to the urban core, “The Front” was situated on a bluff overlooking Lake Erie and included an amphitheater, a formal terrace, and a network of carriage drives. 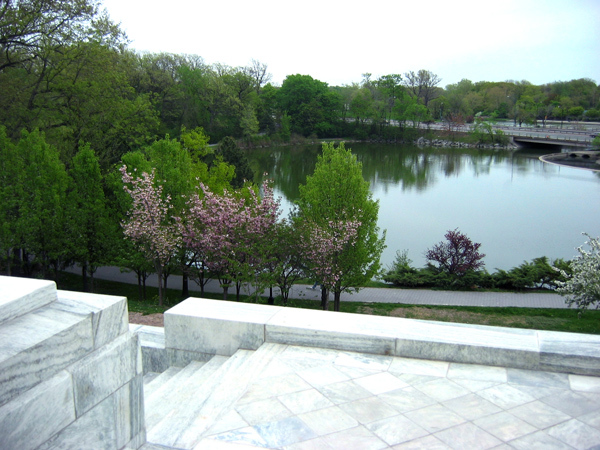 Overlooking the city, “The Parade” initially accommodated military drills and included a public hall but was later redesigned by John Charles Olmsted with aquatic features. 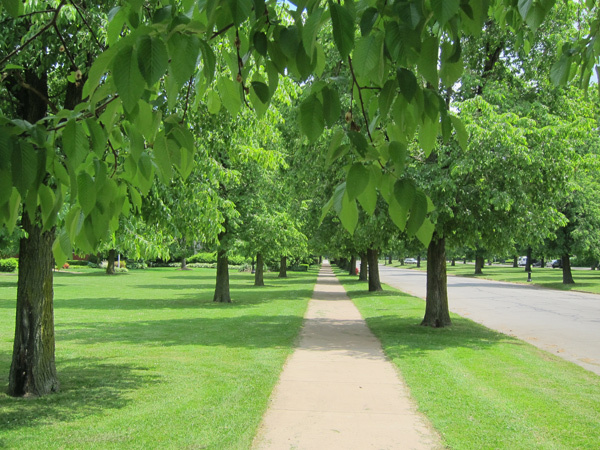 Additional neighborhood parks were developed, propelling the Olmsted engagement in Buffalo into the twentieth century. Forming a northerly arc around the city, an interconnected system of parkways, boulevards, and avenues was developed. 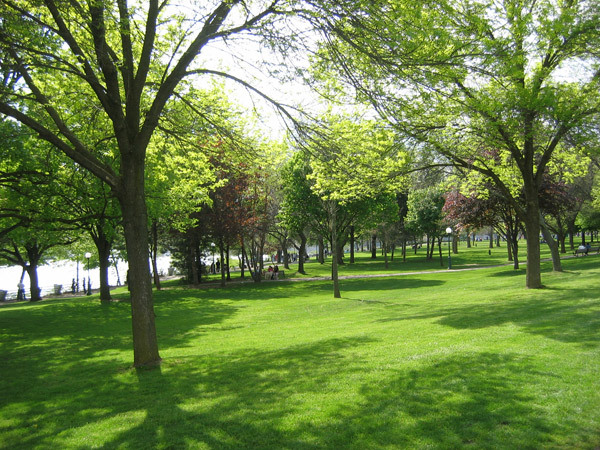 Punctuated by residential squares and circles, the tree-lined streets with wide setbacks, planted medians, and landscaped central areas added 125 acres of parkland to the system. 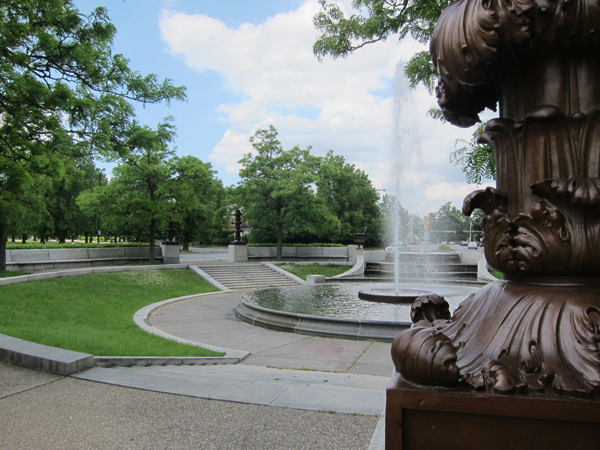 Established in 1869, the Buffalo Board of Park Commissioners provided nearly 50 years of administration regarding the acquisition and development of the system. 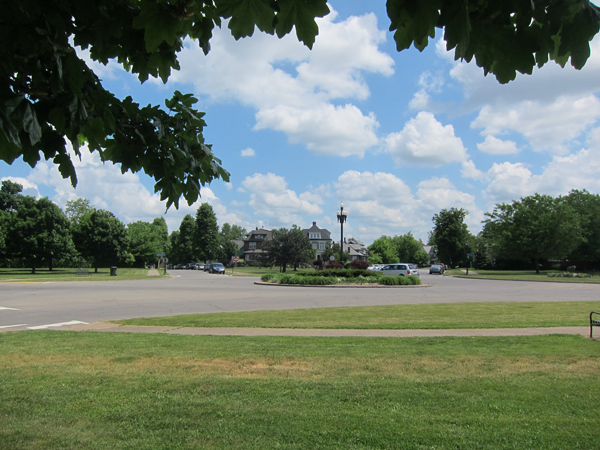 Comprising eight parks, eight circles, and nine parkways, the so-called "Olmsted Parks and Parkways Thematic Resources" was listed in the National Register of Historic Places in 1982. 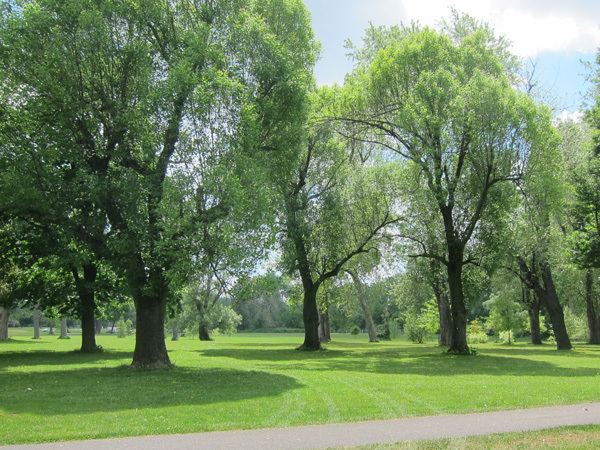 Recognizing that only two such systems were designed by Olmsted and Vaux (the other being in Brooklyn), the Buffalo Olmsted Parks Conservancy was established in 1995 to oversee the management of more than 850 acres of parks, parkways, and circles.